This year’s Scarborough Jazz Festival takes off with three very different acts that are making a big impact on the UK music scene. Second on the bill is ‘The Seven Pieces of Silver’ playing music dedicated to the recently deceased prolific jazz composer Horace Silver. The front line includes the great reeds player Alan Barnes. 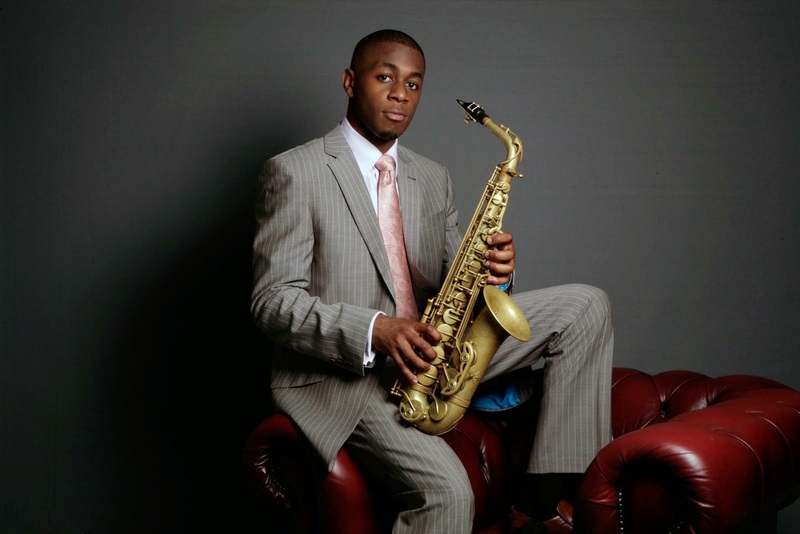 They are followed by an outstanding musical duo: singer and pianist Theo Jackson and saxophonist Nathaniel Facey. A ticket for all three events is at the very special price of £8 to tempt those who may wish to get a flavour of what follows throughout the weekend. Ticket sales have broken all records and very few seats are left for the Nigel Kennedy/John Etheridge performance on Saturday evening. 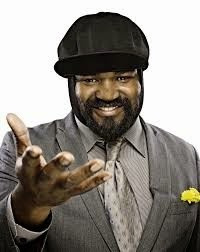 Grammy award winning Jazz singer Gregory Porter will be coming to the York Barbican this October, performing hits from his three critically acclaimed jazz albums Be Good, Water and Liquid Spirit. The York Barbican is located just outside the city walls, and is situated on Paragon Street. Paragon Street forms part of the city ring road, and is located at the south end of the city. The nearest car park is Q-Park on Kent Street at the rear of York Barbican. There is no on-street parking. A suitably appetising programme for our Autumn season. 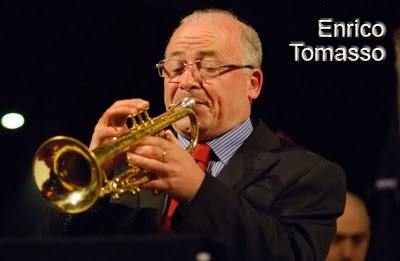 First, on 27 September at the Lawrence Batley Theatre, we're very pleased to have trumpeter Enrico Tomasso with the Andy Cholerton Trio. You've probably heard “Rico" already without knowing it; because, like many top jazz musicians, he often turns up on soundtracks and albums, most recently on Bryan Ferry's The Jazz Age. Then, on 25 October, at the Keys Restaurant, we have the ever popular Snake Davis. Those who have seen him at his previous appearances for Huddersfield Jazz will know they’re in for a treat. Those who haven’t, need to book early because this is one gig which can be guaranteed to be a sell-out! On 22 November, we're back at the Lawrence Batley Theatre for the Sirkis/Bialas International Quartet. This is a new collective between Israeli UK resident drummer Asaf Sirkis and Polish Vocalist Sylwia Bialas. The quartet features USA bassist and harmonica player Patrick Bettison and UK pianist, Frank Harrison. Asaf Sirkis will be familiar to many through his work with Gilad Atzmon and Larry Coryell. We can expect music covering a wide range of influences – from delicate ballads to high energy electric virtuoso lines, and everything in between. Finally, on 13 December, it's back to the Keys Restaurant, for The Big Easy – a lively five-piece swing band from Leeds. With a line-up of vocals, trumpet, guitar, piano, bass and drums, they feature tunes by the giants of swing (Louis Armstrong, Louis Prima and Nina Simone) using their own arrangements in a way that is guaranteed to get your toes tapping. Saturday 25th October 9pm –Steve Glendinning and Mark Williams admission Free. Plenty to intrigue and entertain in Wakefield. 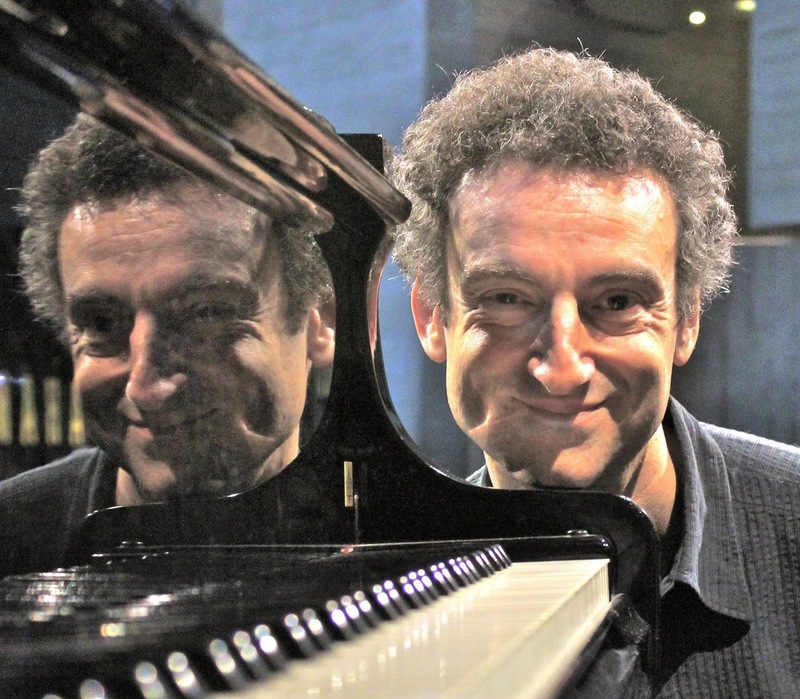 Wakefield Jazz opened on 5th September with a knockout gig by the veteran American pianist John Colianni – Scots Kevin Mackenzie (gtr), Jay Kilbride (bs) and Chris Whitehouse (dr) formed his rhythm section. The 14 gigs through the rest of the season to Christmas feature two singers from the top of the tree, Christine Tobin (26 Sept.) and Claire Martin OBE (31 Oct.); two fine guitar–led organ trios, Phil Robson (19 Sept.) and Nigel Price (3 Oct.); a couple of amazing pianists, Andrew McCormack (10 Oct.) and Steve Melling (12 Dec.); a set of four expert saxophonists, Jesse Bannister (17 Oct. ), Tim Garland (7 Nov.), Tommaso Starace (14 Nov.) and Paul Booth (5 Dec.) as well as three Northern Line bands, John Ellis (12 Sept.), Simon Read (24 Oct.) and New York Brass Band (21 Nov.). Alec Dankworth brings his trio “World Spirit” boosted by his singing daughter Emily on 28 Nov. Any jazz – lover will find plenty to intrigue and entertain here as well as those with specialised interests. Claire Martin’s gig with the Montpellier cello quartet and our Christmas party on 12th December are guaranteed to sell out so are “All ticket” gigs. You can buy online via the gig’s page on the website wakefieldjazz.org at the club or by post to Judith Waterhouse, 3, Bramley Park, Church Lane, Bramley, Rotherham, S66 2RU. Please make cheques out to Wakefield Jazz and include a S A E.
At the beginning of 2014, JATPJazz moved to a new venue after a number of years at the Irish Club. Their new home, Glyde House, has proved successful and their newest gig season includes the addition of extra gigs run in partnership by the Glyde itself. This is described as a venture which aims to increase the frequency of jazz in Bradford. Details of all of the gigs can be found on the JATPJazz website and are listed in short form below. All gigs start at 8.30pm and ticket prices are detailed on the website (JATPJazz gigs are £7/5, ECGJazz gigs vary in price). 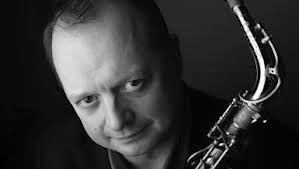 Dave Atherton writes- 'welcome to the new, and very exciting jazz@davenham season for 2014/15. No stranger to jazz@davenham John’s musicianship has been utilised by well known artists such as Tom Jones, Corinne Bailey Rae, Lily Allen, John Squire (Stone Roses) and others as well as being a founder member of The Cinematic Orchestra and contributing heavily to the albums "Everyday"
and "Man With The Movie Camera". Pete Turner (Bass) is a regular and welcome visitor to Davenham. A supremely accomplished musician. 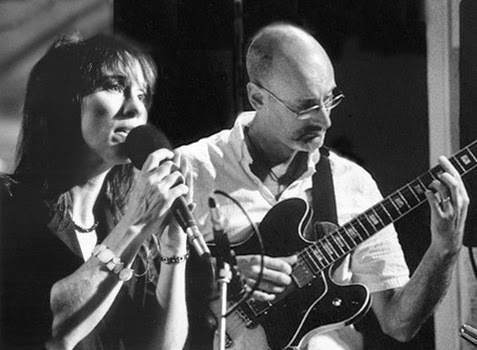 he has worked with most of the best of Northern Jazz including Jamil Sharif and Stuart McCallum, and here with Karen Sharp. A dexterity matched with groove and tasteful intelligence. Rob Turner (drums) trained at the Royal Northern College of music. Rob's dynamic percussive energy has been a leading part of two of the best and most exciting bands from the North in recent years. The Magic Hat Ensemble and Go Go Penguin, the latter beginning to gather international acclaim. "You will not want to miss these guys ! ... A blistering lawless band that deals out forgotten songs playing a hugely enjoyable programme of music that ranges from vintage blues to alt. Country to modern and classic Americana all with sheer class. Not to be missed!" Stevie Williams bass & vocals. Dave Hassell drums & percussion. Markie Creswell guitar & vocals. Billy Buckley guitar & lap steel guitar. We take bookings for the first 2 gigs only via the jazz@davenham.co e mail address, or phone 01606 74502 (Harry) or 44253 (Dave) We feel these are sure to sell out fast - as always will will not expect payment as long as you tell us you cannot attend, in good time. Geoff Matthews writes - all’s well on the West Coast! We’ve had an interesting summer in Southport. Our season officially ended late June and was celebrated with a mini 1 day festival at our regular venue, The Royal Clifton Hotel Southport. Singer SuEyo brought a great 6 piece band for a matinee and we followed up with dinner including a set from 2 guitars, Willy Fluss & Veron Fuller (‘Twin Frets’) and an evening gig from a trio including David Newton, Colin Oxley and Andy Cleyndert. Good turnout and some great music. We then embarked on a new Summer festival in Victoria Park Southport in partnership with Southport Flower Show who provided the huge marquee and support services. Also in the team were Queenscourt Hospice, a local charity we involved to support and gain from their local contacts. We had 2 informal dinner/dance evenings 1st Aug with Swingshift Big Band + AJ Brown and 2nd August featured King Pleasure & The Biscuit Boys as the main band. We aimed (and succeeded reasonably well) to attract a new and different audience. 160 turned up for each one and a good time was had etc. During the day we had 6 bands (including ACV and The Angry Men) doing 1 hour sets. Supposed to be outside but the weather was awful so we did the music in the marquee. Turnout severely reduced by the weather but overall we broke even and will probably do it again next year. We also raised £1500 for Queenscourt. I’ve recently (thanks to my wife Bobbie who has just retired) joined the U3A in Southport and was immediately collared to start a jazz activity group. That is going well-what a great crowd of pro active folk-760 of em in Southport!They supported our end of season bash, our new festival in August in reasonable numbers. As a result I’ve organised 3 gigs specifically for the U3A. First one last Monday 1st Sept in a little bar in Lord St sold out! Anthony Ormesher and SuEyo knocked em over!Our next U3A bash is on October 13th in the cafe of our local Beales Dept store on Lord St. They are laying on an afternoon tea and Perri & Neil are providing the music. The last on is on Nov 12th at The Atkinson (arts centre) and we’ve got Kate Daniels with Alec Dankworth, John Horler and Graham Pike. The Atkinson are laying on a tour of their galleries and museum + wine and nibbles before the gig. I’ve found the U3A respond best to middle of the road music with added interest. 14 December with Alan Barnes bringing up a star studded Octet to launch his new project based on ‘A Christmas Carol’ by Dickens. In between times Swingshift Big Band are doing 3 Sunday matinee concerts for us at the Royal Clifton 7th Sept – Basie // 5th Oct Ellington/Kenton // 9th Nov Gordon Goodwin. There is yet another different audience for this stuff. I’m now up to my neck with the planning for our next festival 6-8 February. Bands booked. Programme on our website. Weekender tickets selling well. Printed programmes out soon! 2014 marks our seventh anniversary-Seven Jazz in Leeds started on the 30 September 2007 and 500 gigs later (and workshops, festivals and the Jazz Voices choir) here we still are! The Leeds International Jazz Concert series at Seven Arts includes appearances from the Nigel Price trio with Alex Garnett (the Seventh Anniversary party) on Thursday evening Oct 2nd, a rare appearance from one of the finest jazz pianists in the world, Enrico Pieranunzi with his trio on Thursday evening Oct 16, the first performance of Indo Jazz saxman Jesse Bannister’s new band “Play Out” that features pianist Zoe Rahman on Thursday evening Nov 6, a welcome return date for Julian Siegel /Phil Robson’s band “Partisans” on Thursday evening Nov 20th and finally the legendary and much loved UK sax star Stan Sultzmann with his “Neon” quartet on Thursday evening 4 December. Details of all of the gigs can be found on the Seven Jazz website www.sevenjazz.co.uk and are listed below. The evening international concert series start at 8.30pm, and the Sunday afternoon showcase gigs run between 1 and 4pm; ticket prices are detailed on the website; evening gigs are £16/14 concessions with a £5 standby ticket for full time students, Sunday lunchtime gigs are £7/5 concessions with kids under 16 free. Free-improvisation jam session, curated / hosted by Andy Champion or John Pope, two of Tyneside’s boss basses. Open to instrumentalists and vocalists from all musical backgrounds. Just bring your instrument and make it up! Or come and listen. Second Tuesdays. New songs by jazz singer Kelly inspired by her favourite books – from George Eliot to Zadie Smith – full of magic and mystery. £10.00 & £8.00 at the door. (nb this gig at the Black Swan, Newcastle Arts Centre, 67 Westgate Road, behind Jazz Café. Modern jazz / funk combo playing standards and originals with a tinge of Jimmy Smith and Mike Brecker. Expect a highly energetic and original set from three great improvisers. with the Paul Edis Trio. or £10 on the door subject to availability. A return visit from the region’s saxophone quartet with their tight arrangements and fiery solos. A new band to the Café give us their take on John Coltrane.“A gig celebrating the great tenor playing of Alex Baker…A gig of exceptional quality.” Bebop Spoken Here. Adventurous Norwegian trio of trombone, piano and drums play their first ever UK gig for Schmazz, an evening of freely improvised music which remains engaging and accessible. 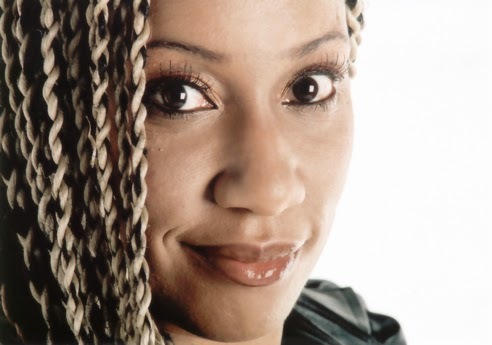 Juliet Kelly is one of the jazz scene’s best kept secrets, with a wonderful rich voice and great storytelling ability. She’ll be presenting a range of eclectic songs inspired by some of her favourite novels, including “Middlemarch”, “The Colour Purple” and “White Teeth”, and joined by a first class band featuring Nick Ramm - piano (Cinematic Orchestra, Hello Skinny), Oli Hayhurst - double bass (Pharoah Sanders, Jacqui Dankworth, Gilad Atzmon) and Eddie Hick - drums (Gilad Atzmon, Mark Ronson). "One of the UK's finest female jazz stars” Jazzwise. We’re excited to have joined forces with a bunch of other jazz promoters to create a touring scheme called Outer Circle, making it possible to bring you this brilliant Anglo-French band, DORS, featuring two thirds of the critically-acclaimed, cutting edge trioVD (Christophe de Bezenac - alto saxophone, electronics and Chris Sharkey - guitar, electronics) combined with Donkey Monkey (Eve Risser - piano, electronics and Yuko Oshima - drums, electronics). Powerful sound collisions and moments of spine-tingling stillness combine with influences from gamelan music, musique concrète, experimental rock and electronica. Guitarist Chris Walker brings his energetic, funky and virtuoso C Bop band, featuring Piero Tucci (keyboard, tenor sax), Alex Henderson (bass), Phil Johnson (drums). Always a great gig, you can expect to hear a combination of influences, from Wes Montgomery and George Benson to Pat Metheny, Mike Stern, Michael Brecker and John Scofield. Between them these guys have played alongside the likes of John Etheridge, Alan Barnes, Jim Hall and Barbara Thompson. Arrive early! Originally from Canada, based in Leeds, the wonderfully exuberant drummer Katie Patterson (Jazz Yorkshire Young Musician of the Year 2012) brings her equally talented and hugely entertaining band, featuring some of the North’s best young musicians, with Russ Henderson (sax), Oli Cadman (keys), Jim Faulkner (guitar), Peter Gavin (bass). A hit wherever they play, with plenty of grooves and soulful ballads, and a constantly evolving sound. We’re immensely excited to have Gogo Penguin back for a rare and intimate performance in the Lescar back room. This exhilerating piano trio owe as much to electronica and classical music as they do to jazz, with influences from Aphex Twin to Brian Eno, Debussy, Shostakovich, and Massive Attack to EST. Their debut album was nominated for best jazz album at Gilles Peterson’s World Wide Awards, and ‘V2.0’ this year’s thrilling follow-up further developed their sound. More than just rising stars, they’ve packed out festival gigs and major venues. 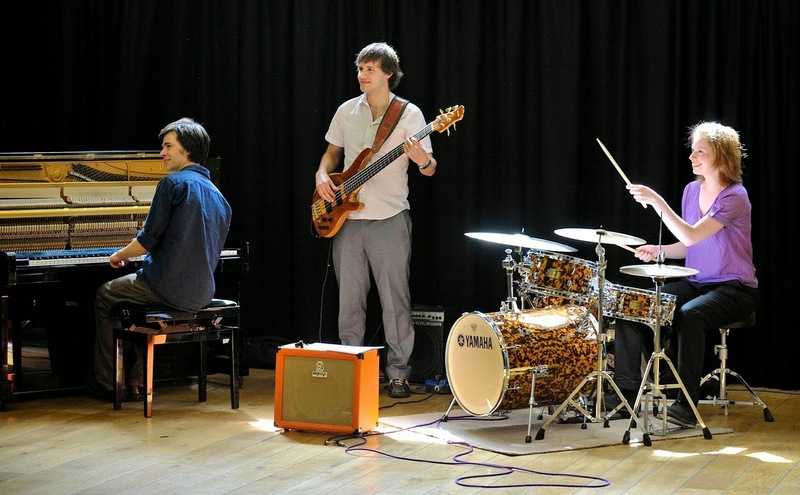 Featuring pianist Chris Illingworth, bassist Nick Blacka and drummer Rob Turner. Arrive early for this one. Tickets available in advance! Samadhi is a project led by drummer Sam Gardner, playing an accessible and exciting mix of jazz infused with the rhythms of Indian classical music, and the precision grooves and rich harmony of hip-hop, drawing on meditation and spiritual influences to complete their sound. And what a great line-up… award-winning sax player Krzysztof Urbanski on sax (hailed by a panel including Herbie Hancock and Wayne Shorter at the Thelonious Monk Institute in Los Angeles as "one of the best in his generation’’), plus Dominic J Marshall: Piano, Sam Vicary: Bass, Sam Bell: Percussion, Sam Gardner: Drums. Another great piano trio, promoting their third album, Eyeshutight feature Johnny Tomlinson (Bonobo, East Park Reggae Collective, IDST) on piano, Kristoffer Wright (The Tommy Evans Orchestra, The Threads) on drums, and Paul Baxter (The Give A Little Jazz Orchestra, Chamber) on bass. 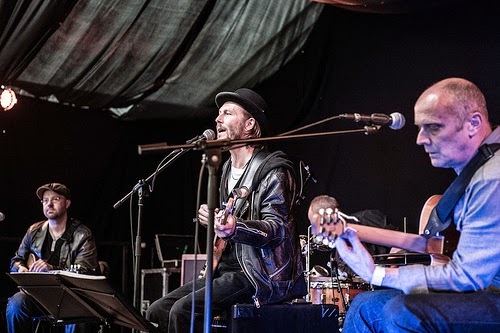 A melodic, rhythmic and propulsive trio, they’re influenced by EST, Avishai Cohen and Keith Jarrett, and have featured on Gilles Peterson’s BBC 6 Music show, performed at the Manchester Jazz Festival as well as Radio 3’s ‘In Tune’, and appeared as finalists in the European Jazz Contest. Shirley Patterson accompanied by the Ralph Salt Quartet. The Doncaster Conservative Club, 2 South Parade, Doncaster. DN1 3ET. Vehicle entrance on the side through the Old Civic Theatre entrance on Waterdale, doors open 7.00 pm, band on stage approx 8.20 pm. Drummer and promoter Paul Smith writes with information about the autumn season at the Head of Steam at Huddersfield Railway Station. An eclectic mix of Jazz/Blues & Latin. Show Time 8.30pm – support the music with raffle participation! 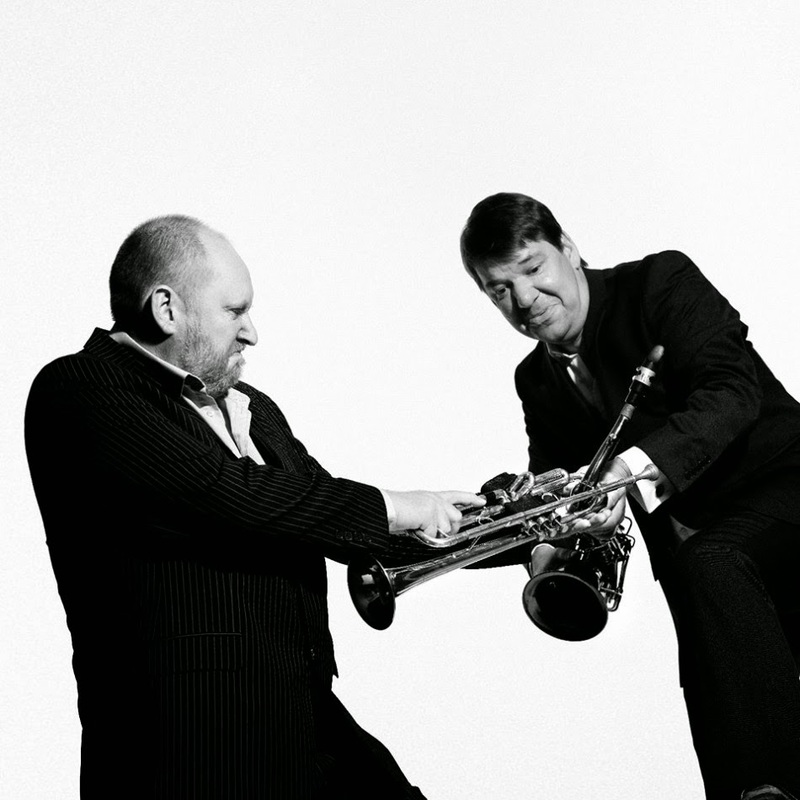 The 2014 festival features two world premieres of music commissioned by Marsden Jazz Festival. I Have a Duck Who Can Roar (Saturday 11 October 12pm and 2pm) is a story set to music for jazz septet suitable for all ages, written and composed by Chris Bridges and illustrated by Ann Gilligan. Revolutionary Traditional (Saturday 11 October 6pm) is inspired by early 20th century ragtime and jazz, by Dewsbury-born composer Simon Fell and features a top-notch sextet, including Percy Pursglove (tpt) Alex Ward (clt) Shabaka Hutchings (bass clt) Richard Comte (gtr) Paul Hession (dms) Simon Fell (dbass). 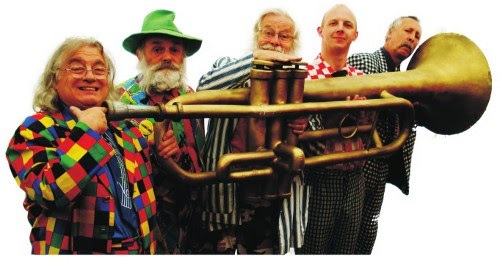 Topping the festival’s popular headline bill on Friday 10th October is Bob Kerr’s Whoopie Band, playing trad jazz with a surrealist twist. Saturday 11th October sees The Sugar Sisters perform, whose sophisticated vocal harmonies and ukulele accompanied arrangements of 1940’s swing have made them a favourite of Sir Terry Wogan and BBC Children in Need. The Sugar Sisters features Huddersfield-born singer Ruby Wood. The festival closes on Sunday 12 October with top class big band jazz from Doncaster Jazz Orchestra Alumni featuring trombone supremo Dennis Rollins. The festival's established New Stream features cutting edge jazz and rising stars. This year, Marsden Jazz Festival New Stream includes a performance by Jam Experiment, winners of the 2014 "Jazz North Introduces" scheme for young musicians. Jam Experiment includes alto sax player Alex Bone, who won the first ever BBC Young Jazz Musician of the Year Award this year, amongst its quintet of highly talented teenage musicians. Tickets available from www.marsdenjazzfestival.com and 0845 519 4415. The picturesque South Pennine village of Marsden is halfway between Leeds and Manchester and has good transport links by road and rail. Marsden Jazz Festival is supported by Arts Council England and Kirklees Council.